We all know the stressful feeling of having just purchased (or rented) a new house/ flat and being faced with the daunting task of decorating it. Where to start? Which wallpaper do you opt for? And what about design styles – do you use only one for the entire home, or do you make every room unique? Sometimes the best approach is to put your task on hold and take a look at others’ work for some inspiration. Well, seeing as this is homify, there is no shortage of interior/exterior spaces that flaunt fantastic designs, and we really don’t mind sharing them with you! 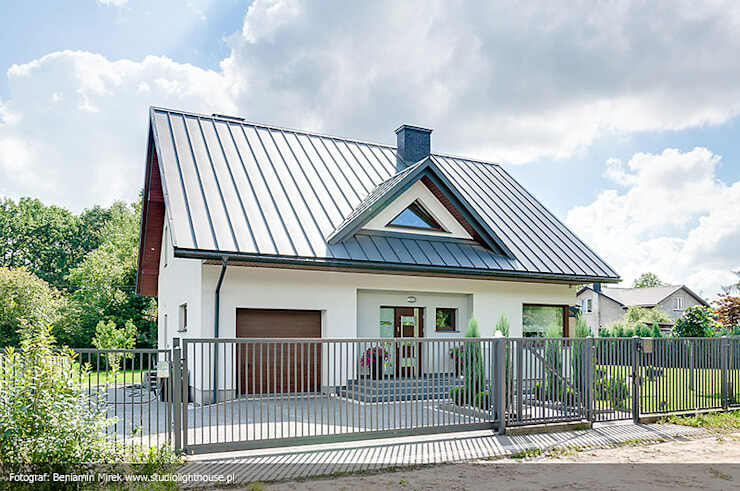 Thus, today’s homify 360° piece: a delightful little bungalow in the classic style with a pitched roof, modern features and overall stunning interiors to inspire your inner interior designer. This house teaches us a myriad of lessons, including how a simple colour palette can be quite effective. 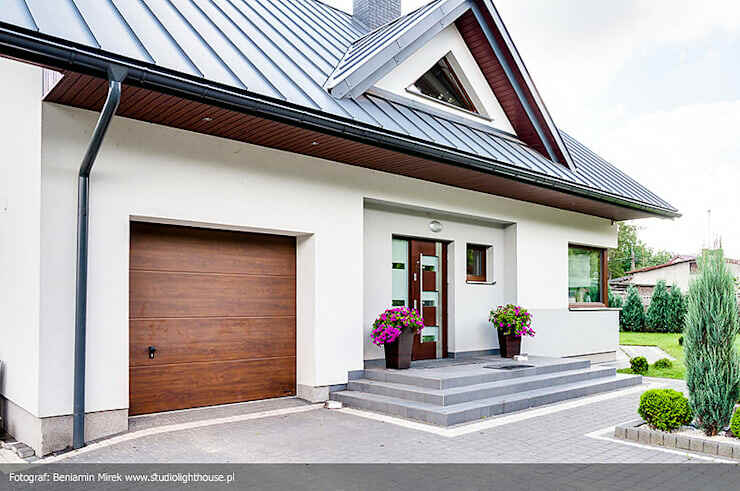 Notice how the neutral tones of the roof and main structure help the rich hues of the timber details to stand out. Potters containing brightly coloured flowers adorn the front porch, adding a touch of character and softness. 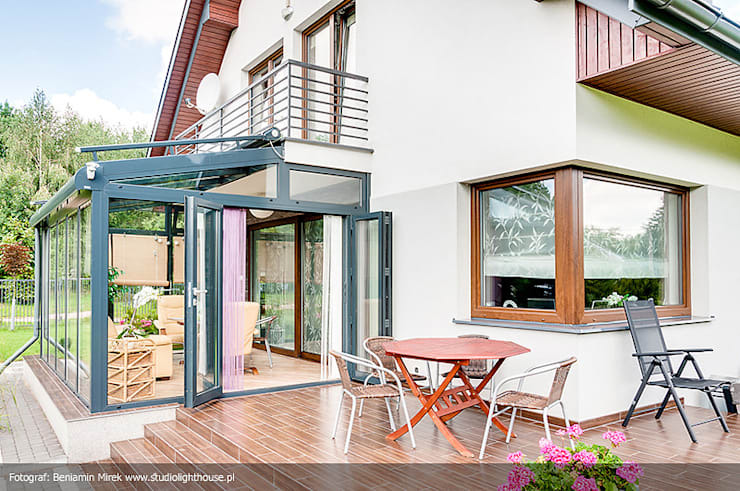 As for the front door, a modern model has been selected, one that’s made from heavy timber with tinted windows to let in adequate light, yet maintain privacy. The front exterior of the house flaunts such a charming look. 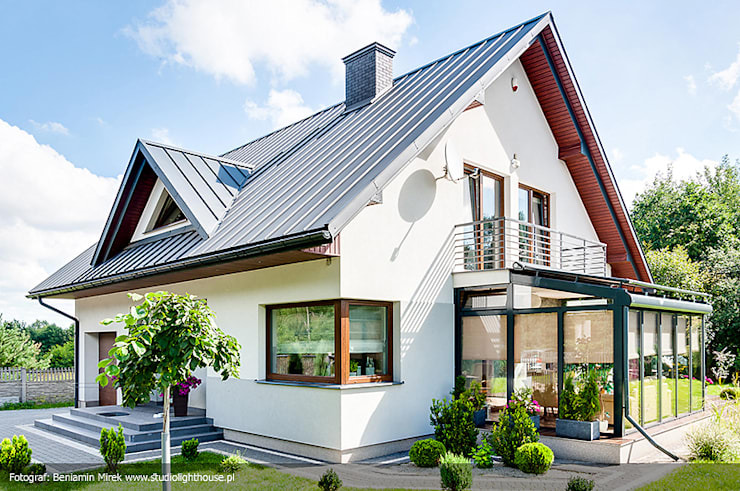 Although inspired by the traditional style, it incorporates quite a few modern features, like the triangular dormer window on the upper floor, the recessed porch, and corner windows. The master bedroom is located on the upper floor, and opening onto it is a charming little balcony situated atop the sunroom/conservatory space of the ground floor. Can you see how this little touch enhances the fresh and lively vibe of the surrounding garden, which seems perfectly manicured and so delightfully coloured? At the back side of the house, we locate a little patio which is connected to the aforementioned sunroom – the perfect spot to enjoy anything from tea with a friend to wine with a loved one. We just love how the patio’s brick tiles echo the colour of the timber window frames, and are complemented by the patio furniture. 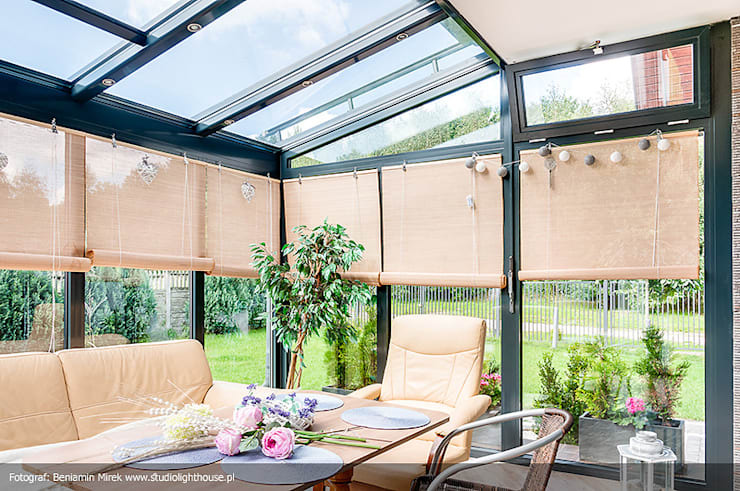 A sunroom is a genius idea for a country with a climate like South Africa’s, where you’ll want to be able to enjoy the sunshine, yet protect yourself from the glaring rays (or the unexpected downpour). It's also a great spot for those of us with green fingers who are keen on growing herbs and fragile flowers. On the other hand, if growing your own plants is not your thing, we recommend styling up that sunroom with a comfy sofa and a table big enough for dining, providing you with an elegant dining space which treats you to a permanent exterior view. For the second dining room, we find a more traditionally styled space which is decorated fantastically. The pendants dangling above the wooden table are just so elegant, while the simple white of the walls and ceiling provide the perfect canvas for the bright pinks and warm woods to really stand out. In your quest to find the right lighting fixtures for your home, remember how important it is to recognise the decorative possibilities, as all too often people opt for standard lights and miss the opportunity to choose something truly spectacular. 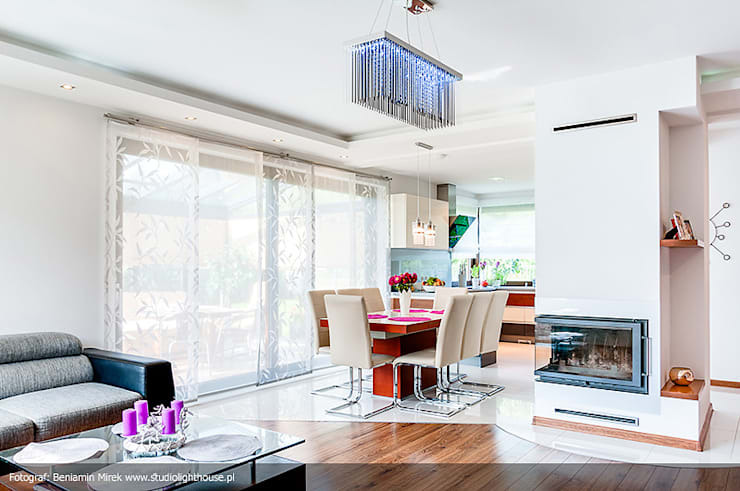 Fortunately, this home has no qualms about that, for a stunning modern chandelier makes its presence known right above the timber dining table, making a huge impact on the interior décor. These kitchen drawers really has us stopping and staring – but in a good way! 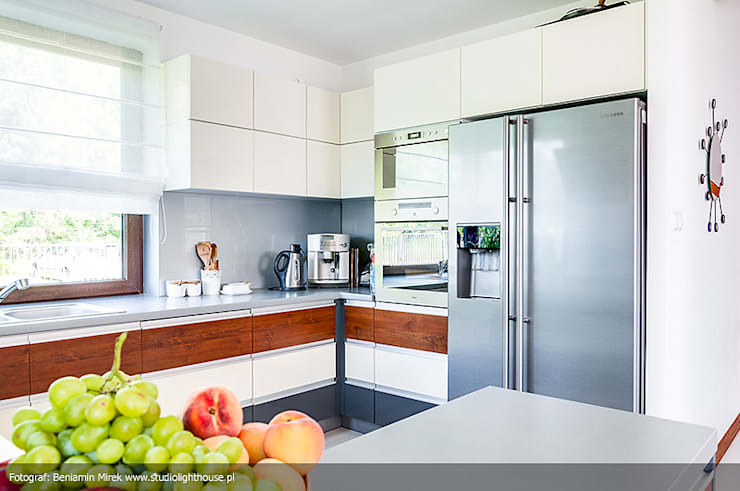 How often do you see cabinets with such alternating materials and colours? As those cabinets draw so much attention, the designers have wisely decided to opt for sleek white countertops to reduce visual distraction. 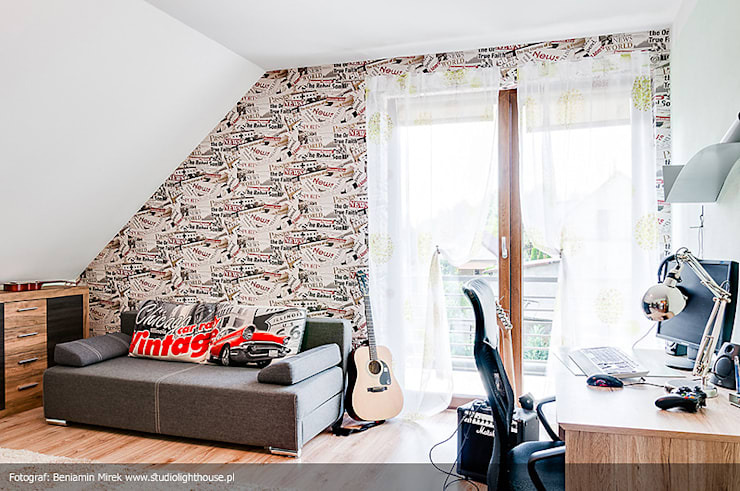 One of the bedrooms flaunts a very laid-back vibe that has us guessing it belongs to a teenager. But regardless of who it’s meant for, we just love its style, especially that fun wallpaper. And look: it even has a desk and comfy sofa. Two bathrooms are featured in this house – a very crucial factor for families who like to avoid rushed chaos each and every morning. 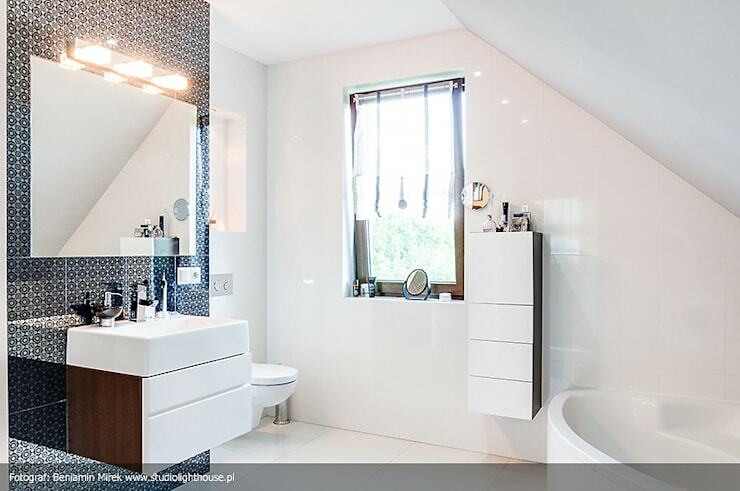 This particular one is the more spacious bathroom, which contains the bath and a fantastic vanity mirror on a patterned feature wall. Notice the amount of detail it brings to the space without overwhelming it. Although the second bathroom is really nothing more than a toilet, expert care still went into its design. We are simply mad about those wall tiles, the marbled pattern, and the monochrome colour scheme. Remember: less is indeed more. One of the best things about this exquisite house is how the designers have managed to find a functional use (and elegant look) for every corner of the house. 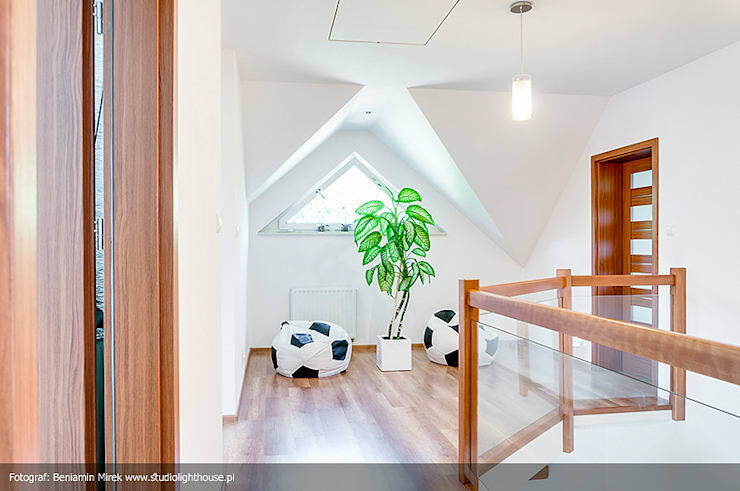 Who knew that a simple pot plant and two cute football-themed beanbags could turn an open floor space into such a stylish spot? Plus it conjures up a great and informal little hangout zone for the young ones! Simply stunning, with so many ideas and tips to inspire us! We’ve got so many more tricks up our sleeves, such as these: 7 touches for your bathroom (to make it look professionally designed).